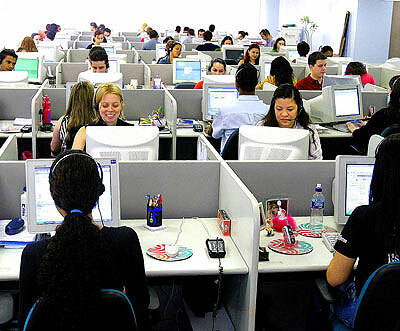 The world is transforming through an era that is dependent on an income source that gives a satisfaction in the job profile and the mental happiness.As the IT has changed the overview of the employment scene, the call centers have become one of the favorite options for the present generation to establish a secure career and maintain a status in magnitudes of customer orientation process. Call Centers India (CCI)is one the organizations where thousands of employees have excelled and show a perfection in rejuvenating the employment opportunity. IN reality call center has been regarded as an employer that has included a major section of the educated people under its umbrella and providing them with a podium to deliver excellence within short time. Officially recognized as BPO industry or simply a call center, most of the world knows it also by customer care industry. Of course this is a fact, but the hidden industry within this bracket is totally marvelous and career oriented. Except from Business Processing Outsourcing, present day contact centers are also associated in delivering numerous services such as: • Chat and Email Support • Programming & IT Services • Business Consulting • IT Consulting • Infrastructure Management • Software Development. With all these service you can merely imagine how dedicated the industry has become and where would it reach in the next decades. Experiencing shocking growth in couple of years, the call centers have been working as a great magnet that is attracting a major part of the global community to try their fortune in a career that has a charm in personality and monetary growth. The CEO of Call Centers India exclaimed in a recent press release that the company been experiencing great revenue earning from numerous sectors that desperately needs customer care support and IT support for their customers 24x7. He also said that the firm focuses on business decorum and business ethics, having them understand that they are never ready to compromise with their duty in any market condition. Whether it is Christmas or Good Friday, the employees at CCI are prepared to deliver their commitment round the clock without missing a single call from the customers. Therefore, CCI emphasize on hiring their staffs on daily basis and help the industries that require a lot of manpower to give a helping hand at any geographical location and time zone. This has not only increased the opportunity level for the aspiring youth but also for the people who want to excel in the mainstream IT. Call Center India is an end to end CISCO powered company that utilizes 100 percent IP based network and CISCO technology platform. We work with individuals and entrepreneurs interested in balancing marketing costs while developing novice business prospects and partnerships through networking. The philosophy we follow is simple: We offer our efforts for personalized and professional clients to reach their targets with messages that have a business sense.